The property stands in approximately 0.7 acres (0.28 hectares) less than half a mile from the highly regarded South Worcestershire village of Hanley Swan which boasts an excellent range of local amenities including a local shop and store with Post Office, a very popular pub, village hall and primary school. The focal point of Hanley Swan is its village pond. The well served neighbouring towns of Great Malvern and Upton upon Severn are each approximately four miles away. Here one can find a comprehensive range of amenities notably in Malvern where there are shops and banks, Waitrose supermarket, the renowned theatre and cinema complex and the Splash leisure pool and gymnasium. The city of Worcester is less than ten miles away as is Junction 1 of the M50 motorway south of Upton. Cobweb Folly is actually the name of an existing four bedroomed bungalow which stands in a generous garden and grounds. Adjacent to the property is a large modern detached steel framed building with concrete block and brick walls under a composite corrugated roof with metal corrugated cladding to the upper elevations. This building was originally built in the 1980's as an abattoir but since 1991 and until recently has been used as a mower repair workshop. 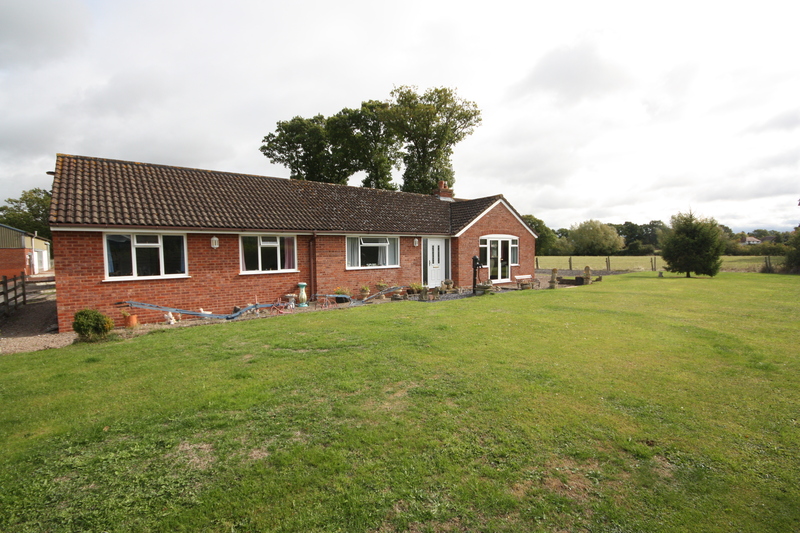 It has a gross external floor area of approximately 3600 sq ft (335 sq m) and stands on a plot of very nearly three quarters of an acre (0.28 hectares). 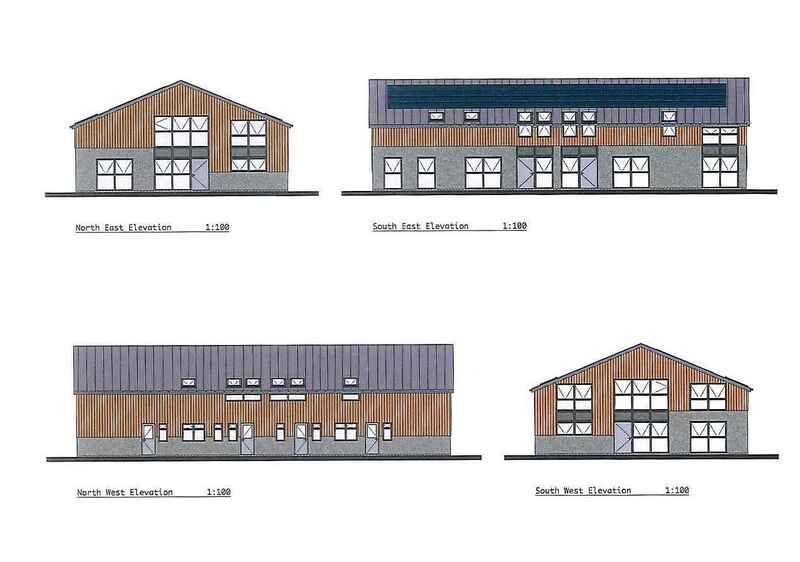 Two separate planning consents have recently granted permission for change of use from light industrial to dwelling houses and for the conversion of the building into four terraced two, three and four bedroomed houses on two floors with allocated parking. Further information on these decisions is briefly outlined later in this brochure. Full drawings and plans are available through the selling agents. 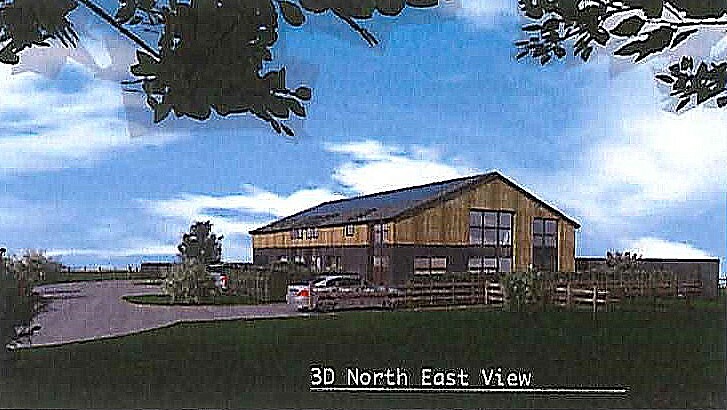 The vendors are offering (as Lot 1) this workshop as it stands with the benefit of its new planning consent. The successful purchaser of Lot 1 will then also be given a first option to acquire Lot 2 which comprises Cobweb Folly itself comprising a single storey modern detached well presented four bedroomed bungalow with its own parking arrangements and garden. It must be stressed that Lot 2 cannot be purchased prior to a sale being agreed on Lot 1. 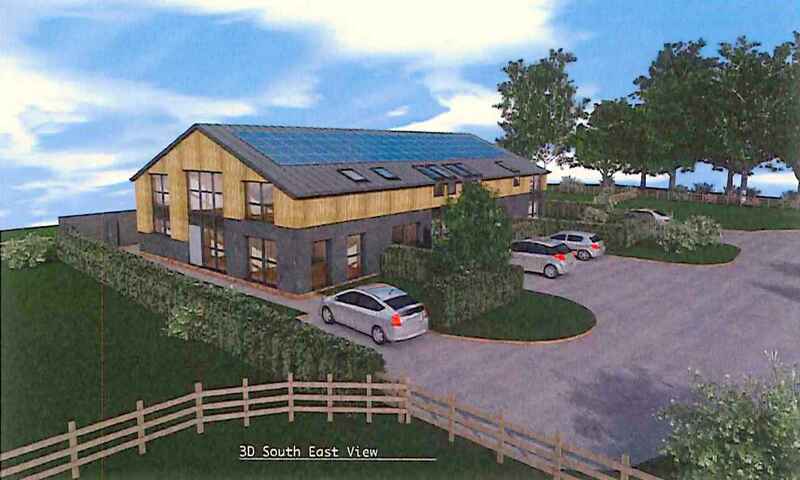 This substantial building has consent for four terraced two storey dwellings which are described as follows. Plot 1. 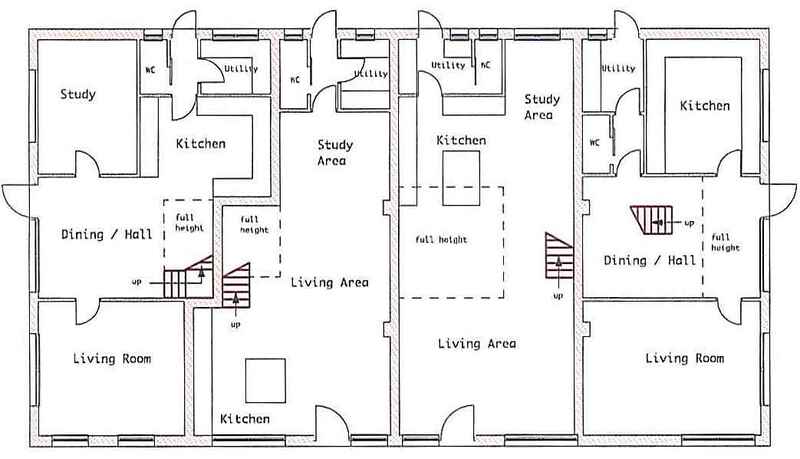 Four bedroomed end terrace house 160sqm (1722 sq ft) Plot 2. Three bedroomed terraced house 130sqm (1400 sq ft) Plot 3. 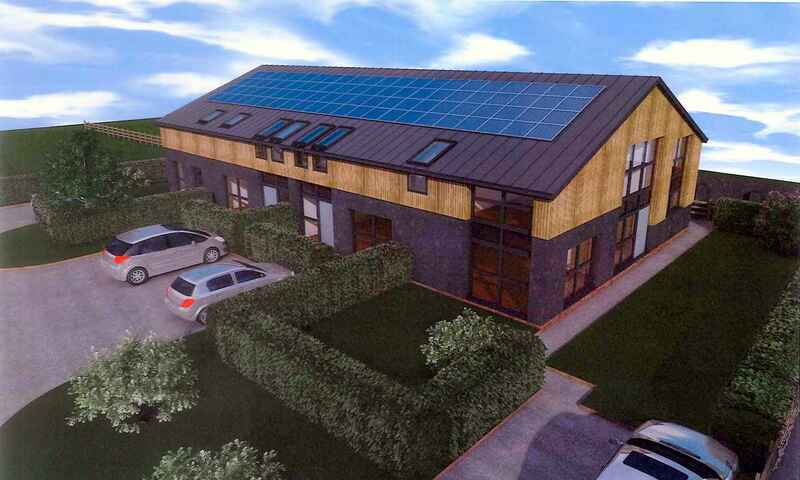 Two bedroomed terraced house 150sqm (1614 sq ft) Plot 4. 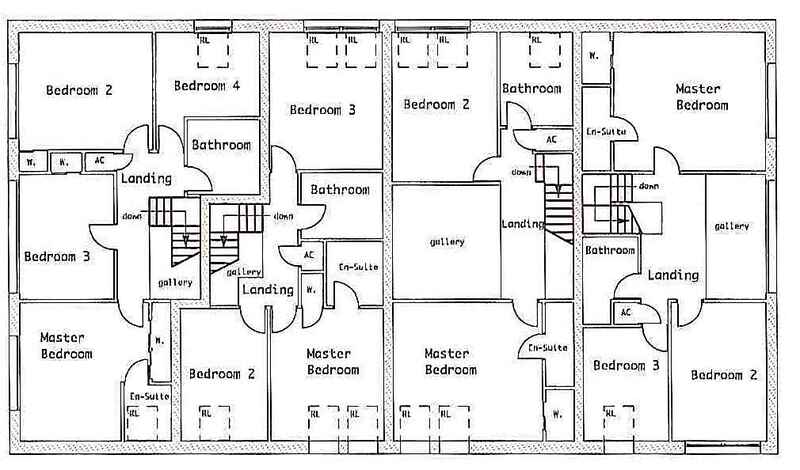 Three bedroomed end terrace house 152 sqm (1636 sq ft) The building will be offered to potential buyers with parking, access across an existing driveway with a direct route into Hanley Swan and an additional area of garden as outlined in red on attached OS plan. 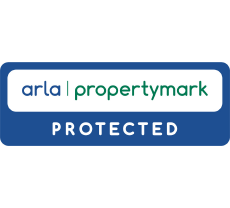 Buyers should note that the area for sale is larger than the curtilage indicated in the current planning consent. 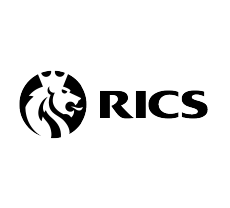 Notification of prior approval for a proposed change of use from light industrial to dwelling houses was granted by Malvern Hills District Council on 13th December 2017 (Application No. 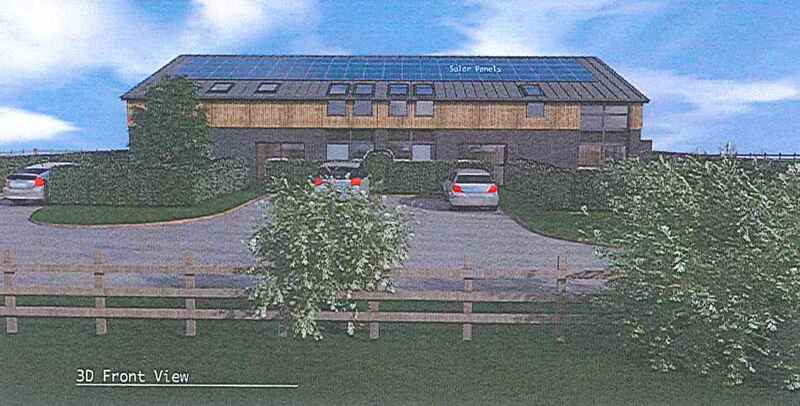 17/01649/GPPA) Building operations and operational development relating to the change of use to four dwelling houses following prior approval was granted consent on 2nd August 2018 by Malvern Hills District Council (Application No.18/00583/FUL) Plans and drawings are available on the Malvern Hills District Council portal or alternatively via the selling agents. 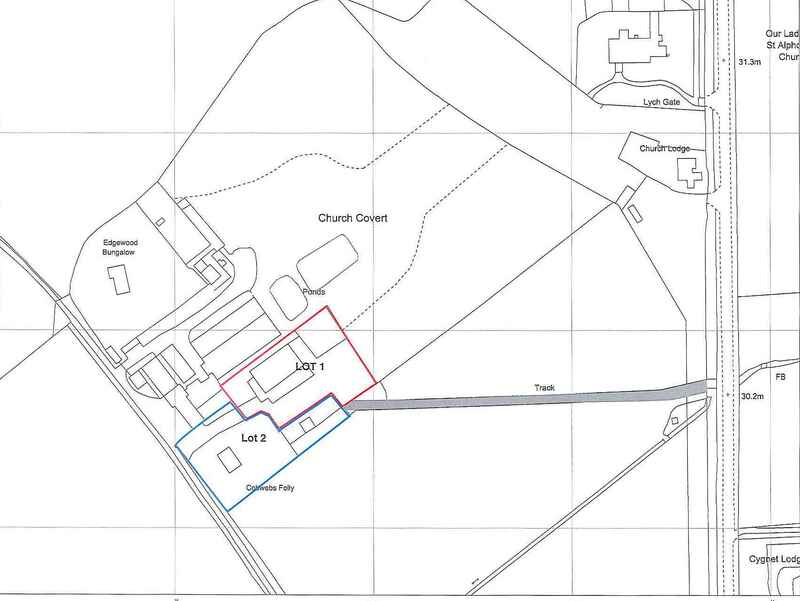 Access to the site will be via a driveway from the Worcester Road (shaded grey on the accompanying site plan). The purchaser of Lot 1 will be granted a right of way across this driveway and will be responsible for resurfacing and maintenance of the driveway thereafter. 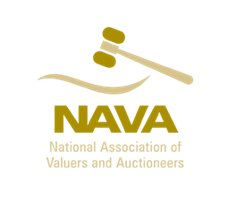 The property is not currently elected for VAT. The property is sold subject to and with the benefit of rights, including rights of way, whether private or public, rights of light, support, drainage, water and electricity supplies and other rights and obligations, easements, quasi-easements, restrictive covenants and all existing wayleaves of masts, pylons, stays, cables, drains and water. 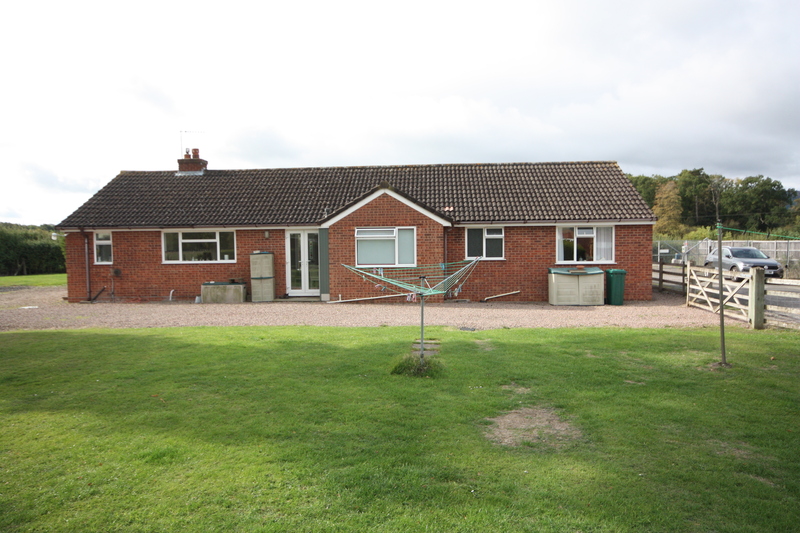 A well presented contemporary detached four bedroomed bungalow with views of the Malvern Hills. Its current accommodation includes a reception hall, lounge, a well equipped kitchen/breakfast room, utility room, four bedrooms, shower room, bathroom, private parking and garden. The property has an oil fired central heating system and double glazed windows. METHOD OF SALE The successful purchaser of Lot 1 will be granted first option to make an offer to purchase Cobweb Folly (Lot 2) prior to the bungalow being placed on the open market. Offers are invited for the freehold of the site. As part of the sale the purchaser shall be responsible for the separation of the services between Lot 1 and Lot 2. Electricity: A three phase electricity supply serves the workshop from which a single phase serves the bungalow Cobweb Folly. The purchaser of Lot 1. will be responsible for the separation of services and provision to the bungalow. The vendors have been in discussion with Western Power regarding the separation of electrical services and further information is available upon request. Water: A water connection from Worcester Road serves the property. Drainage: A private drainage system serves the property but it is a condition of the planning permission that a new sustainable drainage system SUDS is installed. Telephone: There is a BT box on site within the curtilage of Lot 1 with lines serving both properties. Intending purchasers will be required to produce identification documentation and proof of funding in order to comply with The Money Laundering, Terrorist Financing and Transfer of Funds Regulations 2017. More information can be made available upon request. 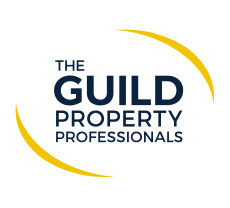 John Goodwin FRICS and Nicola Inchbald MRTPI have made every effort to ensure that measurements and particulars are accurate however prospective purchases/tenants must satisfy themselves by inspection or otherwise as to the accuracy of the information provided. No information with regard to planning use, structural integrity, tenure, availability/operation, business rates, services or appliances has been formerly verified and therefore prospective purchasers/tenants are requested to seek validation of all such matters prior to submitting a formal or informal intention to purchase/lease the property or enter into any contract. The property is available freehold and vacant possession will be given upon completion (with appropriate rights across the driveway). From Malvern proceed south along the A449 Wells Road towards Ledbury for approximately two and a half miles before turning left onto the Hanley Road (B4209) signed The Hanleys and Three Counties Showground. Follow this route for almost a mile before crossing straight through a set of traffic lights at the Three Counties Showground. Continue straight on into the village of Hanley Swan where you will see a large duck pond on your left. At the pond turn left. Continue along this road towards Worcester for approximately quarter of a mile where you will see a track on the left hand side that leads to the properties as indicated by the Joint Agents Sale Boards.